At 80, Rosamunde decided to retire from writing. But with publication of Winter Solstice, her final novel, she hit No 1 on the US and UK Bestseller Lists. It was a natural successor to Coming Home which, like The Shell Seekers, sold many millions. As ever, the critics praised not just her storytelling qualities but her brilliance in creating characters which live on in the mind. She was born and brought up in Lelant on the North Coast of Cornwall, the setting for many of her stories, including perhaps her most beloved, The Shell Seekers. She still has family ties in Cornwall – her son Mark has a farm in Zennor – and she had her own tourist trail there, initiated by the Cornish Tourist Board. In 1946 she married Graham Pilcher from Dundee and moved to Perthshire. Scotland, like Cornwall, has coloured her stories. September is set there and Winter Solstice takes characters from the Cotswolds and London and brings them to Sutherland. Her books and stories have a huge following in Germany where ZDF have broadcast over 200 films and where the Cultural Minister said she was ‘the person who has managed to do more than any to mend the relationships between the German and British peoples’. To mark the 30th Anniversary of Shell Seekers, Hodder UK and Macmillan US published unabridged audio books of 18 of her titles. She was awarded the OBE for services to Literature. 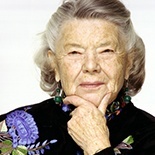 Rosamunde Pilcher died in February 2019.